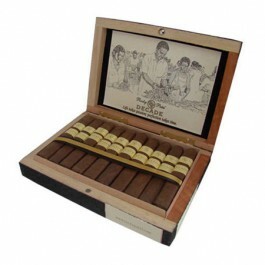 Dark wrapper and a very distinctive box press shape that makes it look slimmer than a normal robusto. A full-bodied and pretty intense smoke. I have always found these very consistent in quality, with great construction.